A healthy alternative to plastic containers for storing and carrying food, this silicone bag can be used in the freezer, microwave, oven, fridge, bain-marie and dishwasher! Easy to use, easy to store, easy to clean... Stasher is the first and only self-sealing, airtight and plastic-free food storage bag. The non-porous material helps inhibit bacterial growth. 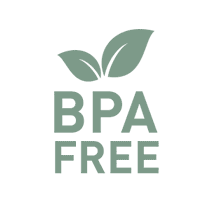 Free of petroleum-based products: no BPA, no BPS, no lead, no latex, no phthalates. Chef Philippe's tip: Use your Stasher bag straight from the fridge or freezer to the SousVide Supreme water oven. Material: 100% pure platinum silicone. Easy to clean, dishwasher safe (use top rack). Seal: Let the air out of the bag then fold over and use pinch-lock seal to make an airtight closure. Heat: Leave seal open when reheating leftovers in the oven or microwave. Clean: Hand wash with soap and warm water or place in upper rack of dishwasher for best results. Do not turn the bag inside out. A greasy film can appear on the surface of the bag; this is completely normal and does not alter the qualities. Rethinking plastic is what Stasher is all about. Plastic is a petroleum-based product that introduces toxic chemicals to our food and environmental concerns to our planet. Silicone is safer, more flexible, and more sustainable.